Gandhi once said that a nation’s greatness is measured by the way it treats its animals. 175 Nations will attend the 15th conference of the Convention on the International Trade in Endangered Species of Wild Fauna and Flora (CITES) from the 13th to 25th March in Doha, Qatar, and have a chance to prove their greatness, or lack thereof. This they will do when voting for or against over 40 proposals, many of which reflect growing international concern about the accelerating destruction of the world’s marine and forest ecosystems through overfishing and excessive logging, and the potential impacts of climate change on the biological resources of the planet. Other issues on the agenda include: the adoption of urgent measures to tackle illegal trade in the tigers, rhinos and other species, including pink and red corals, plant species, reptiles, and insects, all of which are edging toward extinction; address the potential impacts of CITES measures on the livelihoods of the rural poor directly dependent upon wildlife; and allocate sufficient financial resources to ensure that CITES goals are fully achieved. UN General Assembly has declared 2010 the international year of biodiversity and the Conference will be one of the key occasions governments will have this year to take action to protect biodiversity. Already the world had missed the 2010 target to stem biodiversity, a goal which was agreed upon at the 6th Conference of Parties to the UN Convention on Biological Diversity in April 2003. But species extinction rates are at least 100 times those in pre-human times and expected to continue to accelerate into the future. I will be attending the Conference and wearing the hats of The Shark Research Institute (SRI) USA for whom I am media director, and AfriOceans Conservation Alliance (AOCA) South Africa, which I founded, and though I will be covering all issues, of particular interest to us is the strong marine theme and an unprecedented six proposals for commercially exploited marine species with blue fin tuna high on the list. This iconic and majestic species can reach 3 metres in length and over 650 kg in weight. It swims at nearly 40 km per hour and dives to 1,000 metres. Unfortunately it is a highly sought after delicacy and a single fish can fetch more than USD $120,000. Overfishing has caused populations to plummet throughout the species’ range to alarmingly low numbers. As such Monaco has proposed that blue fin tuna be listed under Appendix I, which would ban any international trade. The European Commission has proposed a fishing ban on the species by its members and urged support of the CITES proposal by all 27 EU members. So far, France has signaled it would support it, while Greece, Spain and Italy, where fishing interests take precedence, have opposed it. The United States have also supported the ban, but Japan, which eats an estimated three-quarters of the world’s annual bluefin catch, announced that it would not comply. Tense times are expected ahead since a 2/3 rd majority is required to be successful. Failing which the blue fin tuna demise is sealed. In addition, eight species of sharks, oceanic whitetip, spiny dogfish, porbeagle, scalloped hammerhead, smooth hammerhead, great hammerhead, sandbar and dusky sharks, are proposed for inclusion under Appendix II. 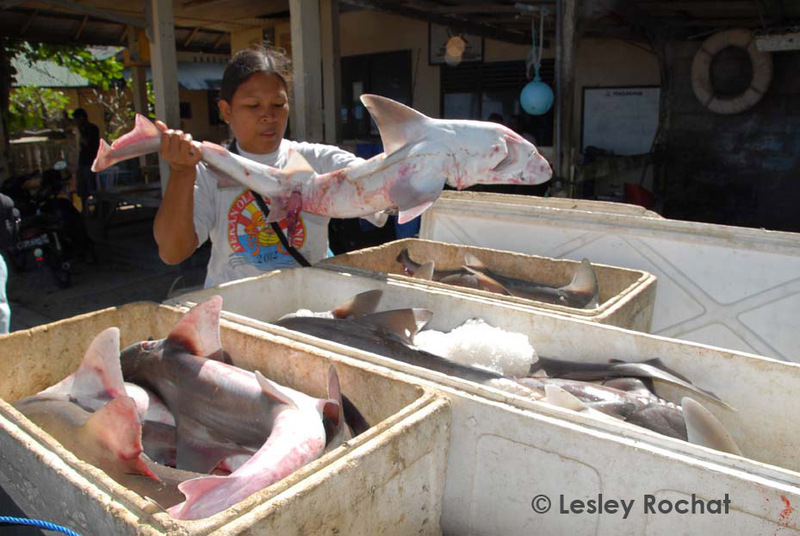 Such listings will complement and reinforce fisheries management measures, provide much needed data and monitoring of trade, and also contribute to implementation of the FAO International Plan of Action for the Conservation and Management of Sharks. (South Africa drafted the National Plan of Action in 2000 but has still not implemented it – the plan has since been coined the National Plan of InAction. AOCA has been lobbying for the implementation of the plan since 2007) Mismanagement, inadequate compliance, illegal and unregulated fishing has resulted in many sharks species declining by over 90%. 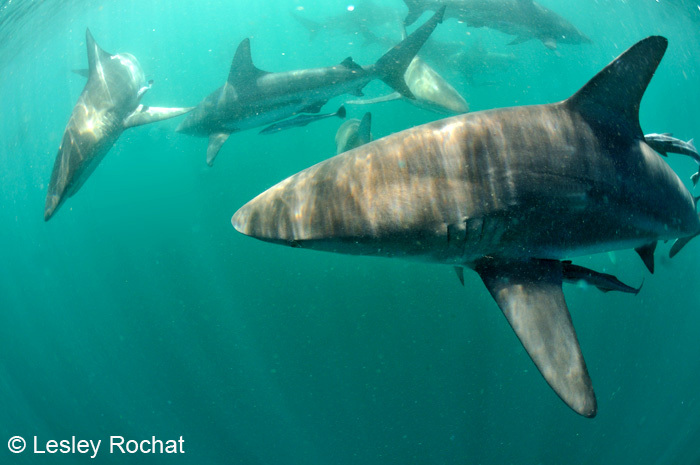 The spiny dogfish and porbeagle are caught extensively for their meat (often sold in ‘fish and chips’ shops in the British Isles), while the oceanic whitetip and scalloped hammerhead are caught primarily for their fins, as well as incidentally. Of the 591 species of sharks and rays listed with the IUCN, 21% are threatened with extinction, 18% have a near-threatened status and 35% lack data in order to affirm their populations. The Food and Agriculture Organization of the United Nations (FAO), states that the world’s capture (non-aquaculture) fisheries produced 92 million tonnes of fish in 2006, of which 81.9 million came from the sea. The value of the total marine and freshwater catch at the first point of sale was around USD 91.2 billion. It is therefore estimated that some 52% of marine fish stocks or species groups are fully exploited, 19% overexploited and 9% depleted or recovering from depletion. Scientists have warned that should the current rate of exploitation continue there will be no fish left in our oceans by 2050. This may very well be the last century of wild fish. To date the CITES success for marine species is very limited: the basking and whale sharks were included in Appendix II in 2002, the great white shark and the humphead wrasse in 2004, and the European eel and sawfishes in 2007. There is a long way to go if marine species have any chance of surviving and a lot weighs on the success of CITES 2010 for the proposed marine species. CITES is one of the world’s most powerful tools for biodiversity conservation through the regulation of trade in wild fauna and flora but the survival verdict for proposed species remains to be seen, balancing precariously between politics, petty bureaucracy, insatiable greed and the decision of great nations. Watch my space, I will keep you updated for the duration of the conference.